Breasting a rise in the track and coming into the loop at Milepost 121¼ (presumably from Durban) near Empangeni, SAR GEA Class 4-8-2+2-8-4 Beyer-Garratt No. 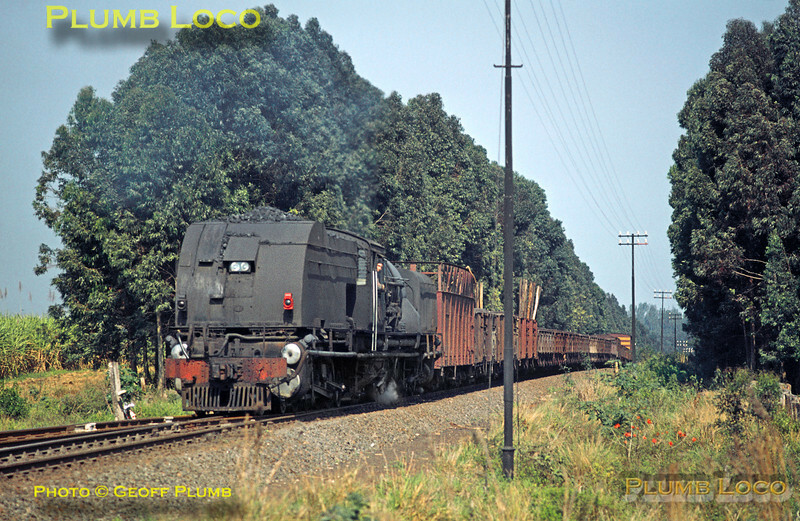 4027 is working empty timber wagons back from Stanger, perhaps to Mtubatuba, this being a regular stamping ground of the class. 50 engines of this class were built by Beyer, Peacock from 1945 to 1947. Thursday 24th August 1972. Slide No. 9004.